Have you planted Spring flowering bulbs in your garden? If you have and like myself have some of your bulbs planted in pots, and also have squirrels in the area be sure to protected them. The bulbs that is not the squirrels! I can not stop the squirrels from digging up the lawn and burying their little food treasures, so they may survive Winter. But by placing a little wire mesh over the soil in the pots, I will hopefully prevent any flowering disappointment come Spring. 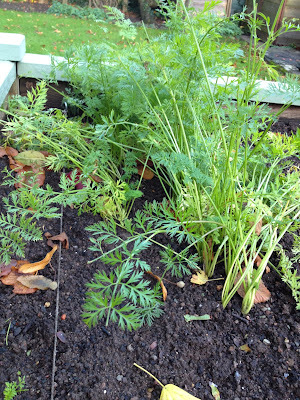 I am down to the last remaining carrots in the raised bed, just enough for another few meals. 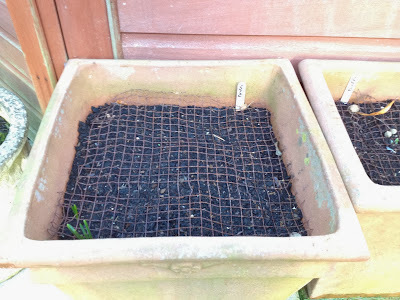 I have some onion sets left from last year, so I may chance my luck and plants these in the next few days. The other raised bed was empty in October, I broadcast sowed some green manure, mustard seeds. 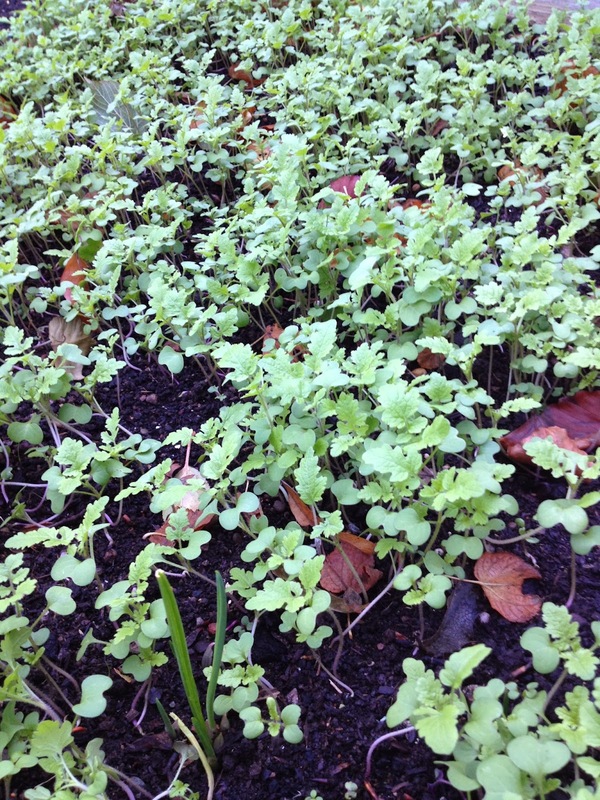 Broadcast sow, makes it sound like an acre, but it it just your average raised bed. You can see from the photo below it soon grows, once it has grown a little more I will then pull it up, crush it and dig it into the soil, to add back some nutrients.